Honking your car horn: when is it ok? Honking. 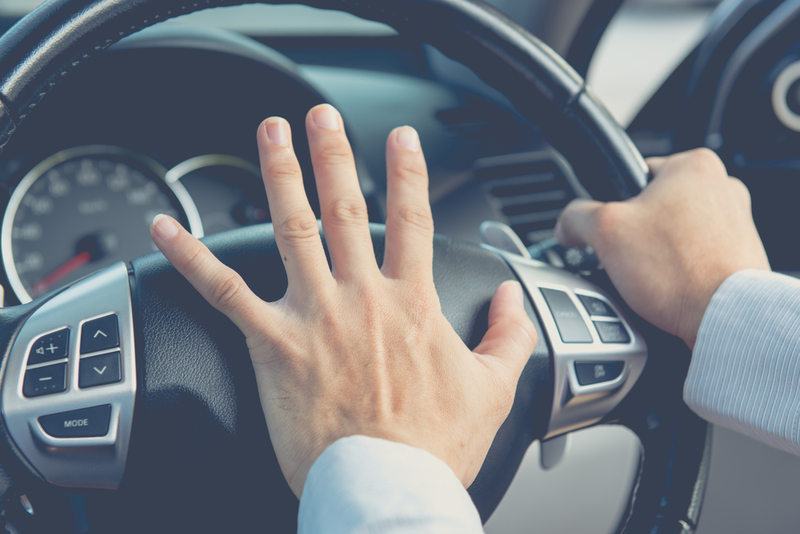 The car horn exists for a reason, but sometimes knowing exactly when it is and is not appropriate to honk can get confusing. In this article, we’ll outline when honking is permissible and even necessary and when it’s uncalled for and frankly just rude. If you follow these tips, you’ll be able to stay safe out there and avoid possible road rage incidents. Something you should know is that most states actually have a law about when it is appropriate to honk your horn. For example, Arizona law states the following, “If reasonably necessary to ensure safe operation of a motor vehicle, the driver shall give an audible warning with the driver’s horn but shall not otherwise use the horn when on the highway.” The “if reasonably necessary” part can get a bit subjective, but we’ll go over some good and some bad reasons to honk so things can become at least a little more clear. Whether they are speeding and cut you off or simply forgot to check their blind spot, alerting another car with a short, full honk of the horn is acceptable because it is reasonably necessary to ensure safe operation of your vehicle. It’s all about safety. If a pedestrian is in danger of being hit by you or by another driver, it’s a good idea to warn them with a honk of the horn. Do, however, make sure that you are keeping traffic laws in regards to right of way for pedestrians. If you’re careful, chances are greater that you won’t have to honk in the first place. It’s not only frustrating to sit at a green light when the driver in front of you is distracted, it is sometimes even dangerous. Cars coming from behind that see the light is green are likely to continue moving. When someone is stopped at a green light, it creates the risk of rear ending. A gentle tap on the horn will suffice, but don’t hesitate to kindly alert someone if the light has changed and you’ve waited a reasonable amount of time. While honking to get your best buddy’s attention may be tempting, honking when there isn’t any immediate danger can cause some issues. Drivers around you may slow down or speed up unnecessarily in response to your horn sounding which could cause an accident. Be careful. We’ve all been the victim of someone else’s dumb decision out there on the road, but laying on the horn in an act of rage is never productive. In fact, often excessive horn honking leads to road rage and accidents. Bite your tongue and count to ten. Don’t honk to express emotion because more often than not, it’ll only get you into more trouble. There’s something entertaining about honking your horn. In fact, young children who are bored on road trips often motion out the car window to try to get trucks to honk their horns just so they can hear the sound. While it may be tempting to honk for sport or for a reaction, it can be dangerous and you could even become the victim. Now that we’ve reviewed some good and bad reasons to honk, it’s time to put things into practice. A defensive driving course will teach you that giving a short honk now and again is part of driving defensively and ensuring your safety, but laying on the horn to express frustration or rage is never acceptable. Even honking to say hi to a friend on the side of the street can be dangerous. When horns aren’t used for their designed purpose, trouble can start. Today is the day you can begin using your car horn responsibly. It’s up to you, so do it! Who knows, it just might save you from an accident.